Clipper lets the user specify a section of a file’s timeline that they want to share, with a start and stop time, textual annotations and tags. 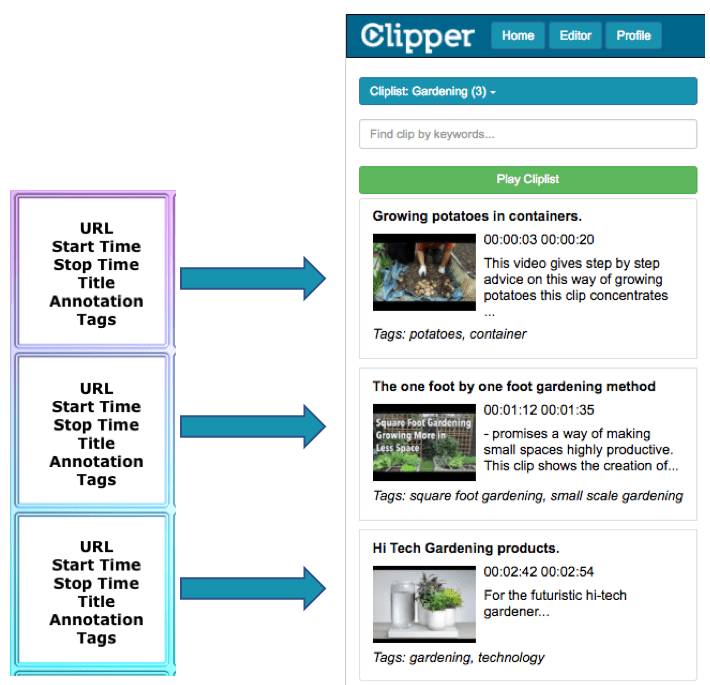 The Web Annotation Layer: A useful analogy to help understand how Clipper works is that the Clipper Toolkit is like a layer or a window on top of the web that the user can control to show extracts from audio and video files together with their own annotations and tags. This is the essence of how web annotation technologies work – they superimpose their annotations over existing web sites but remain completely separate from them – see the ‘Technical’ section for more detail abut this. Cliplist with Player: In this image below we see the Clipper player and underneath we see the Clipper data for that Clip. Note the first line of the annotation becomes the title of each Clip – for simplicity. The actual amount of digital data is used by the Clipper toolkit to create the web page you see here is very small – perhaps a kilobyte or two in total. The video content and the image thumbnails are all being supplied from the original YouTube website. 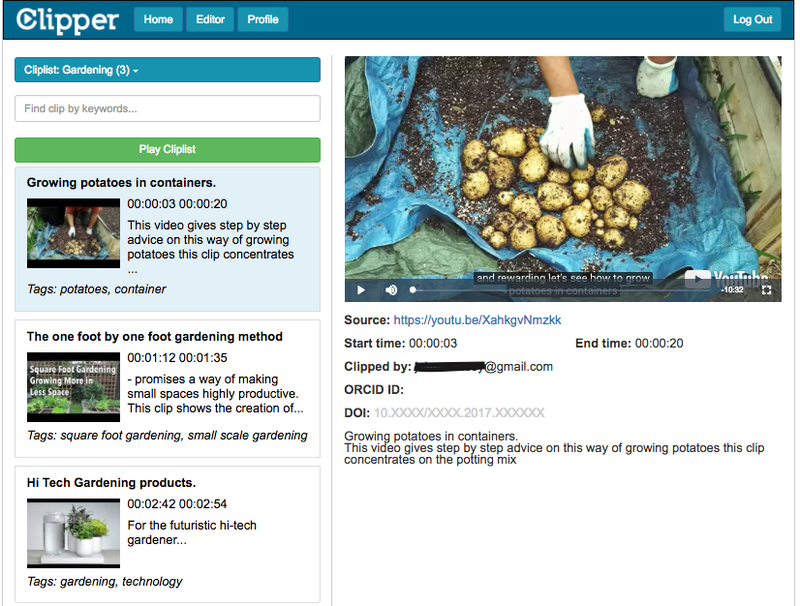 What the Clipper toolkit is doing is taking the original YouTube data stream and presenting it together with the user generated data through the Clipper interface. Working in this way Clipper is highly efficient in terms of data storage and transmission – it never copies, stores or streams the original media files. This is what we mean when we say Clipper works as an annotation layer or window above the media files that it deals with.